This bright, crisp Muscat Canelli is just sweet enough to be friendly – yet dry enough to carry on adult conversations. Open as an aperitif. Linger over some green apple slices and hard cheeses. Sip alongside spicy Asian dishes in sassy company. Set one aside in the fridge just for chilling. In vino veritas, especially with these vinos. 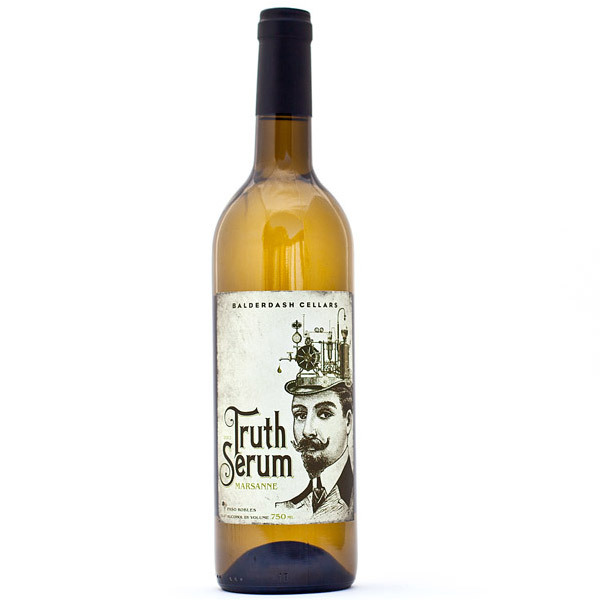 Truth SerumTM wines are our founder’s most select, tongue loosening creations. Only available in finite amounts, they’re exclusively released at the lab (where we can secretly record your confessions).